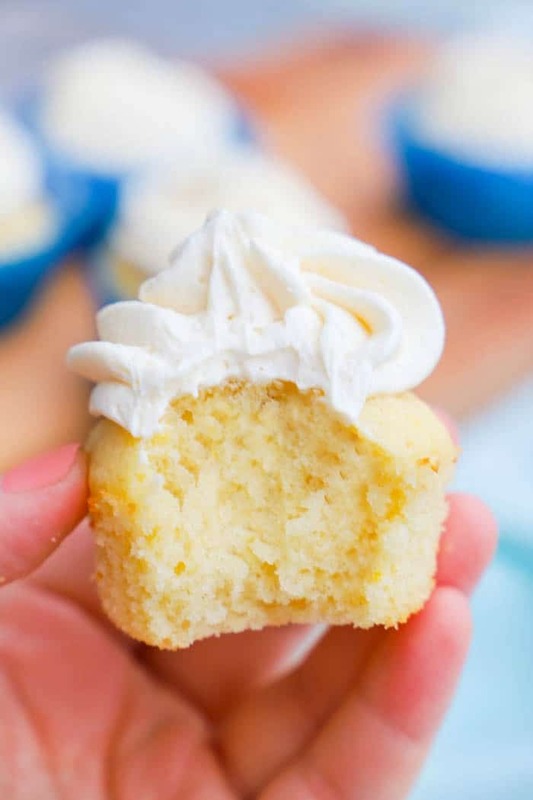 The most perfect Vanilla Cupcake Recipe. 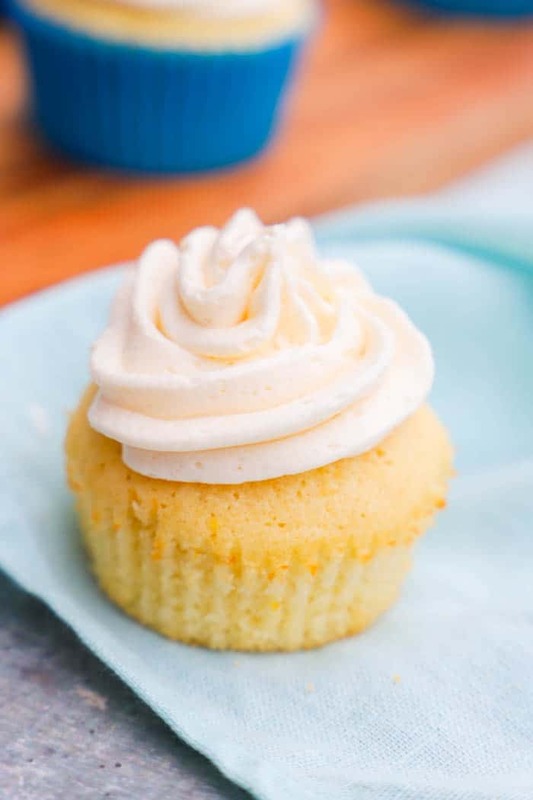 It’s so simple to make with a light cupcake made with your everyday pantry staples and a buttercream frosting that can’t be beaten. 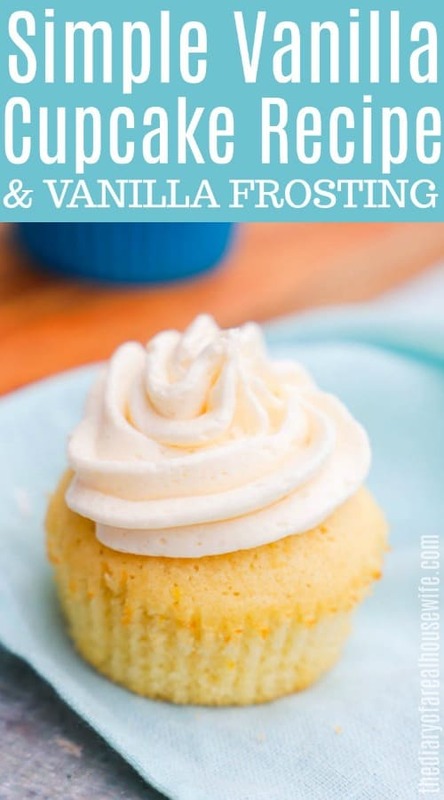 This Vanilla Cupcake Recipe is simple to make and taste delicious. You start with some pantry staples for your cupcake then whip up a really easy buttercream frosting to go on top. The cupcakes are light and fluffy and the frosting is rich and creamy. The perfect combo if you ask me. I used a simple piping bag to add the frosting on top once my cupcakes have cooled. Preheat your oven to 350 degrees. Prepare a muffin tin with cupcake liners. Sift together flour, baking powder, and salt then set aside. Using an electric mixer to beat eggs and sugar. Beat for 1-2 minutes until eggs are a light yellow. While still mixing very slowly pour in melted butter and vanilla extract. Spoon cupcake batter into your prepared muffin tin about 3/4 the way full. Bake for 15-18 minutes or until cupcakes are cooked through and a toothpick can come out clean. Place on a rack to cool completely before icing. Making homemade frosting is pretty easy. All you need are a few simple ingredients and a hand or stand mixer. With an electric mixer cream together confectioners sugar and softened butter. Once well combined add in vanilla extract and heavy whipping cream then mix in again. Add to a piping bag and top on cooled cupcakes.